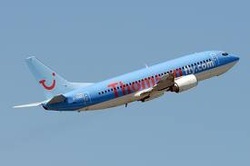 Direct flights to Sal (SID) are with Thomsonfly. TAP air Portugal also fly to Sal from Heathrow via Lisbon. Click on the FLIGHTS button at the bottom of this page to get up to the minute flight prices from Thomson. Flight prices are considerably cheaper 2 to 3 weeks before departure.